Adobe has announced that you can now shoot in its DNG raw format for the first time with a new update to its Lightroom for Mobile iOS app running the newly released iOS 10. This comes at the cusp of Apple shipping its brand new iPhone 7 series. In a blog post on its Lightroom Journal, Adobe touted this new ability for photographers on every level to take advantage of raw capture while on the go. Lightroom for Mobile already supported raw editing. Now, not only can you edit raw photos imported into the iPhone or iPad from any camera, but you can also shoot in Adobe’s open source digital negative format (DNG) directly from newer Apple devices that have a 12 MP sensor: the iPhone 6s and 6s plus, iPhone SE, the 9.7-inch iPad Pro, and the upcoming iPhone 7 and 7s. Increasingly, advanced amateurs are shooting in raw format to take advantage of the higher quality and greater editing possibilities it affords, such as altering white balance after the fact. Because DNG files retain all camera sensor data without JPEG compression artifacts, you have broader editing opportunities for higher quality images. Raw’s greater dynamic range lets you more efficiently recover highlight and shadow details from your photos as well as assorted other fixes. “In a perfect world, people would be able to shoot raw without the frustrations associated with having an array of raw file formats,” said Thomas Knoll, Photoshop and DNG creator in a blog post. “Apple’s new iOS 10 release moves us one step closer to this perfect world.” DNG is now the standard file format for shooting raw photographs on iOS 10, as well as on Android, where raw shooting as well as editing were already available. The new version of Lightroom for Mobile also adds support for the new wide gamut P3 color space in the iPad Pro 9.7 as well the upcoming iPhone 7 and 7 Plus. 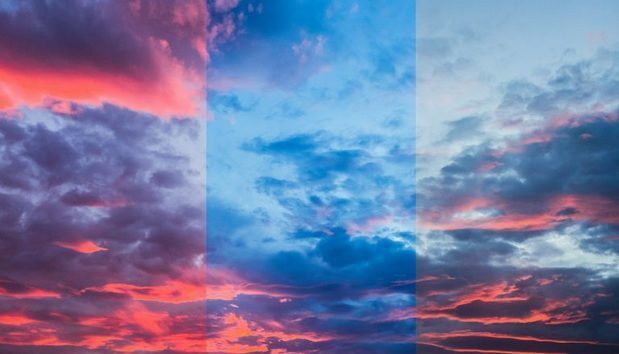 Adobe says the new color space offers 25 percent more color than sRGB, so that any edits you make in Lightroom more accurately reflect colors in your photos. When using Adobe’s Creative Sync, part of its $10 per month Creative Cloud Photography Plan, changes made to any photo are reflected across all devices. Regarding the upcoming iPhone 7, Adobe says it is working to profile the new sensors and lenses and promises an update as soon as possible. Lightroom for Mobile 2.5 is free to everyone. You need a Creative Cloud membership to sync photos across all your devices, but you don’t need to be a Creative Cloud Photography plan subscriber to shoot and edit in DNG raw using the Lightroom for mobile app. Lightroom for Mobile 2.5 is available in the App Store.